Swoffle's Stroopwafles! It's as tasty as it sounds and these little delights make the perfect on-the-go gluten-free snack. 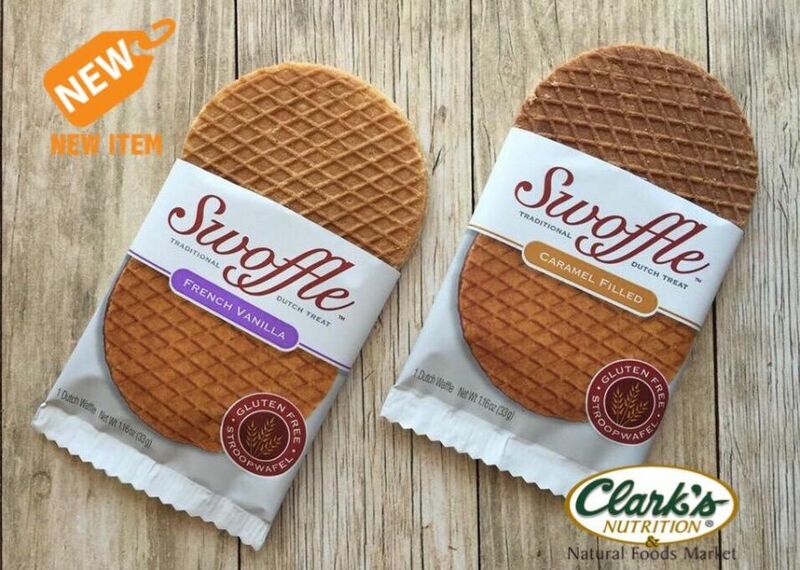 Each Swoffle is made from organic, kosher, non GMO, gluten free flour with a layer of creamy caramel in the center and are an ideal compliment to a hot cup of coffee or tea. Be sure to take these perfectly packaged gluten-free treats with you to your next coffee date. Available in Original Caramel and French Vanilla at Clark's stores now!